KATHLEEN’S SHOW! THIS COMING SATURDAY: April 6 at Heart Tribe in Fairfax! • This will be a celebration of specially selected songs from her musical catalog. • You’ll hear songs from her first three albums, including her most recently released album Liars, Cutthroats and Dames. Plus a sneak peek into songs from her upcoming fourth album of love songs, Smoochy Smoo. • Let her beguile and bewitch you, inspire you, break your heart, and make you laugh! Her songs are vignettes into our very-human temptations and redemptions, with a good dose of humor whilst the angels and devils bet which way we go at the crossroads. Kathleen Dunbar San Francisco Singer-Songwriter Kathleen Dunbar performs her blend of rootsy, humorous, and spellbinding storytelling about tragedy and redemption through her original song compositions in the Americana tradition. Join her on a musical journey into the darkness of the heart, love, betrayal, steamy romance, and the transformation of the spirit after passing through the flames. These are stories about us as we face the circumstances we humans get ourselves into and the choices that we ultimately make—some of them funky, some of them ending in the dark, others rising into the light of morning. For this intimate evening Kathleen will be joined by her guitarist, producer and multi-instrumentalist Gawain Mathews and stand up bass player Ben Levine. Gawain Mathews gigs with Kathleen Dunbar as her guitarist and banjo player. His magic thread runs all through the music you hear. 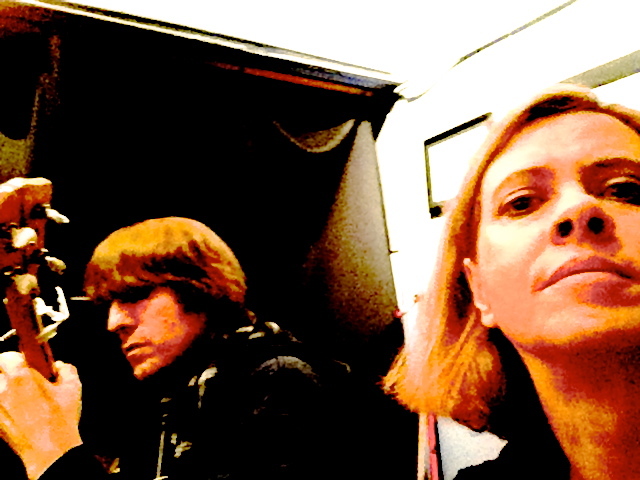 Gawain is Kathleen’s arranger and producer. On her CDs he plays guitar, mandola, banjo, keyboards, pedal steel, accordion and percussion. Gawain hails from the wilds of Wales and the hot deserts of Utah (he prefers clouds to sun). He brings multiple skills as producer and arranger and years of musicianship in a wide range of styles. 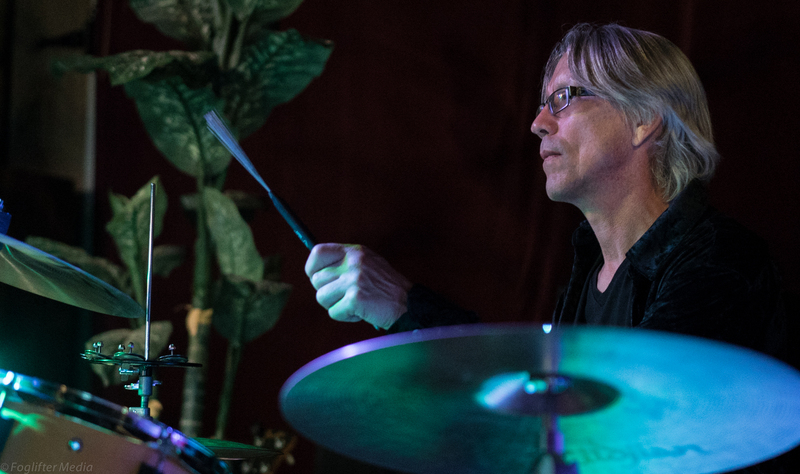 He’s toured as guitarist for Mickey Hart. Gawain has had his original music featured on Fox’s American Idol and So You Think You Can Dance. Currently he’s a music producer in the San Francisco Bay Area working with a diverse roster of clients and styles. This will be an intimate evening with Kathleen. Advance Tickets recommended. inside the big tent you get to be king! You can listen to all of the songs on the album three times for free before being prompted to purchase. You can purchase the album via Itunes, Amazon, etc. simply by visiting the links on my website Store page. In addition to offering a digital download, you can also order a physical CD from CDBaby—again, right there on my Store page. Please feel free to forward this to anyone who you feel would like to accompany me on this musical journey. Thank you in advance for your support, my dears! YEAH! My latest all-original, americana-bluesy-rootsy CD “Liars, Cutthroats and Dames” IS HERE! Hello Everybody! This is Kathleen Dunbar with BIG NEWS! As some of you may know or have heard—my latest americana-bluesy-rootsy CD Liars, Cutthroats and Dames has been in it’s final stages of completion: Well, I’m happy to announce to you that it is officially finished and I am RELEASING IT out into the world! MY NEW CD IS HERE—it is available for you all RIGHT NOW! 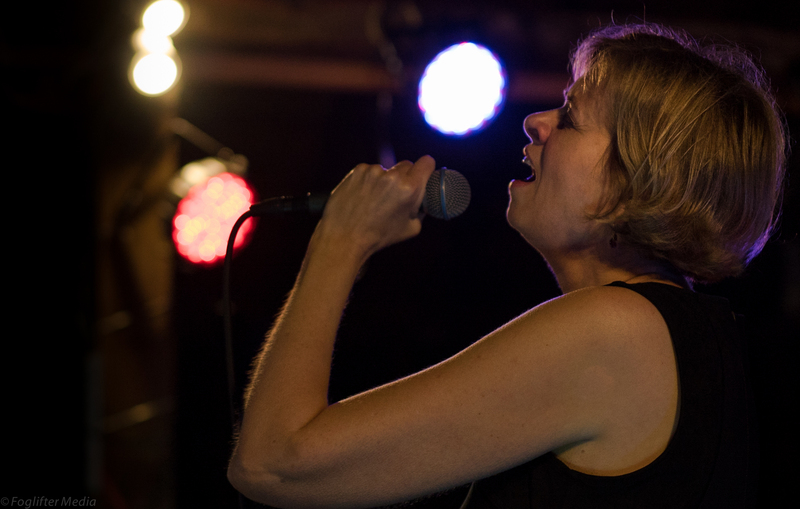 You can listen to complete tracks of the entire album at this link on my Store page: https://www.kathleendunbarmusic.com/store You can listen to all of the songs on the album three times for free before being prompted to purchase, or you can find me on Spotify for continued streaming. You can purchase the album via Itunes, Amazon, etc. simply by visiting the links on my website Store page. In addition to offering a digital download, you can also order a physical CD from CDBaby—again, right there on my Store page. ABOUT THIS ALBUM: Of course, all the songs are originals written by me! With each song I take you on a different journey. This new album departs from my previous two Americana CDs—I dive deeper and delve further into the dark and the light side of the human psyche, and I’ll make you feel, think, and sometimes laugh out loud! And hey, if you’d like, I’m available to do a house concert at your house if you live in the SF Bay Area! These are fun, warm, intimate, unforgettable gatherings. I want to thank the incredible musicians who helped me bring my original songs to life! That’s me, Kathleen Dunbar/Songwriting and Vocals. And my incredible band which is called The Better Devils, is: Gawain Mathews/guitars, electric bass, banjo, mandola, keyboards, accordion, percussion, backing vocals. KyleCaprista/drums. Dan Feiszli/standup bass. Nicholas Daniel Wlodarszyk/trombone. Eric Levy/piano on Baby Put Your Red Shoes On. Rich Armstrong/trumpet. Bryan S. Dyer/backing vocals. MJ Lee./violin. Joseph Feusi/backing vocals. Big thanks and love to Joseph Feusi, Raz Kennedy and the incredible multitalented Gawain Mathews who is my producer, arranger, mixer and angel in general! 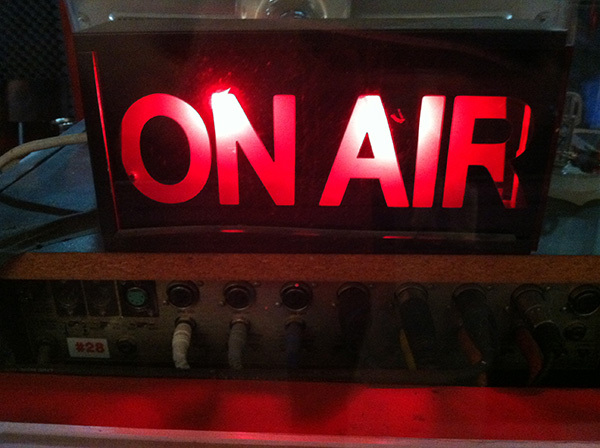 RADIO INTERVIEW: Kathleen will be interviewed on Blue Lew’s SFCR Radio show this Monday, May 25! TIME: Somewhere between 3:30 and 5:30! 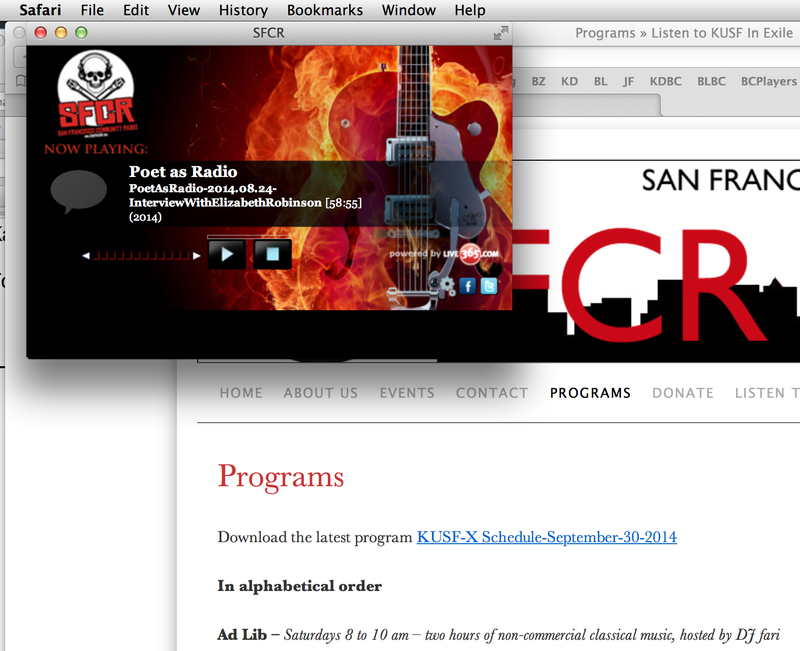 2) On the right side under the banner entitled Listen to SFCR click on the link that says, Launch Live365 Player. You can see what it looks like in the picture at the top here. 3) A screen will appear and you’ll immediately be tuned in! You can see what it looks like on the picture below. We Wowed ‘Em at Bill Cook’s Barn! 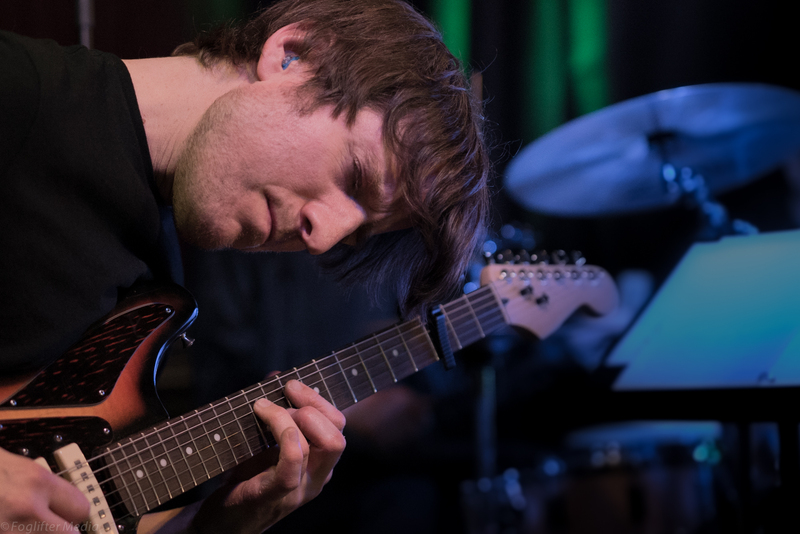 Gawain Mathews, most recently he’s been the touring guitarist for Grateful Dead’s Mickey Hart. Kevin Hayes, drummer for Robert Cray, including on Cray’s Emmy-award winning album Take Your Shoes Off. 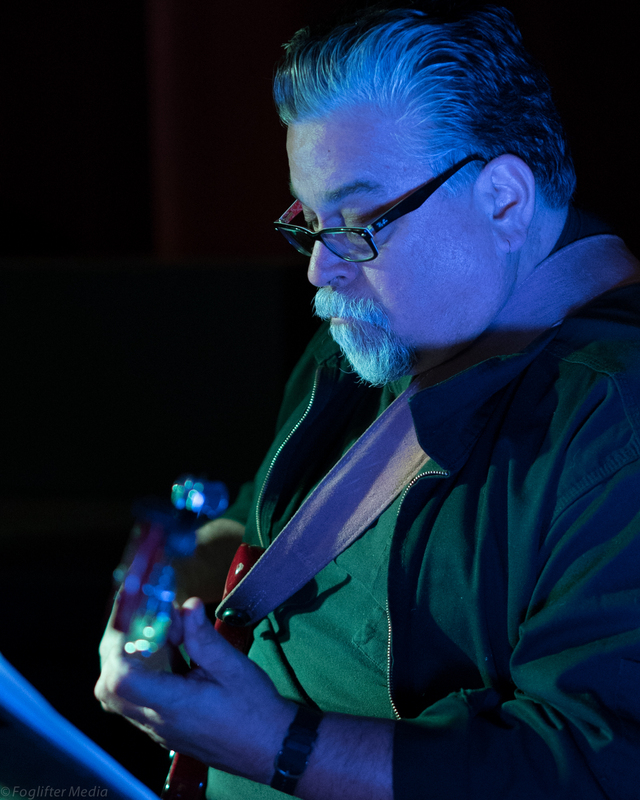 Paul Olguin, bass player for the likes of Bob Weir, Elvin Bishop, Maria Muldaur, Huey Lewis, and more. Host Bill Cook served up his legendary hospitality—his preshow dinner and the truly amazing venue—a “barn” that Bill has converted into a large premier performance and dance space. 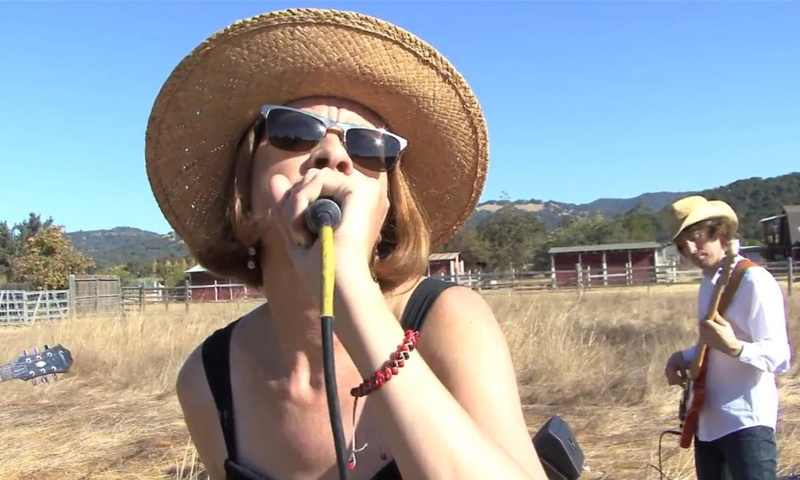 His high end sound system and the barn’s acoustics are a band’s and an audience’s dream! Thank you Megan for your very careful attention and the super-kind gift of your presence and experience, and for altering your flight to go on a redeye in order to videotape me! Thank you Gabriella for your enthusiasm, it really touched my heart—keep your creativity coming! Behind-the-scenes Key Man Joseph Feusi did his usual magic that we know about because everything ran smoothly! 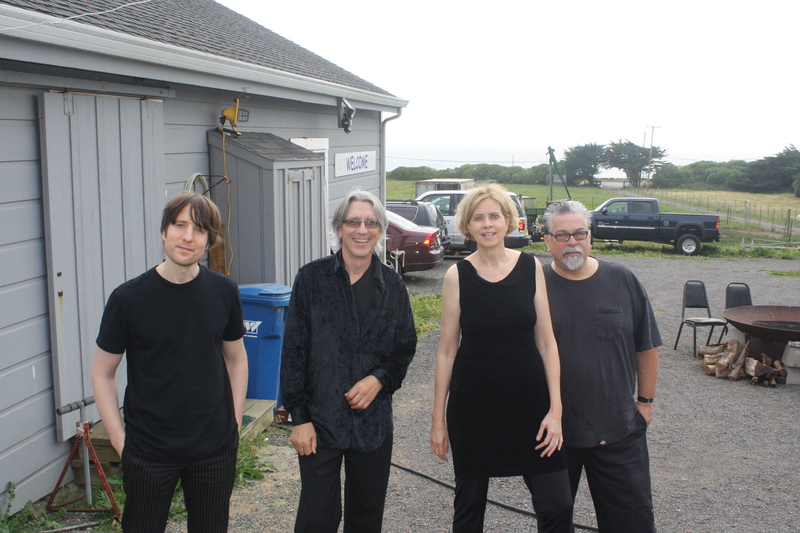 and thanks for the delightful Bill’s Barnyard photo of the Band! Michael Garrigues was a wonderful surprise guest—thanks for your awesome performance photos! And as always—to my wonderful fans—much, much love! What an amazing feeling to look out in the audience and see you all grooving to the experience! Bill’s barnyard photo by Joseph Feusi, Mentor Extraordinaire! Upcoming Gig May 16 at Bill’s Barn! Bill Cook’s Barn. Bill has turned his barn into a premier venue showcase. It has a state of the art sound system. Plenty of room for dancing. A fire pit outside to talk to friends and cook marshmallows. Lots of parking. Beautiful countryside. And this show comes with a free turkey dinner prepared by Bill with all the fixin’s!!! COST: $20 donation to the band suggested, but if it’s not in your budget… Please come! Your attendance is the best contribution!!! VENUE: Plenty of comfortable seating, room to dance, great sound! Outdoor fire pit to toast marshmallows in! The sunset over the Pacific Ocean! Beautiful countryside! Hear me on Pandora! 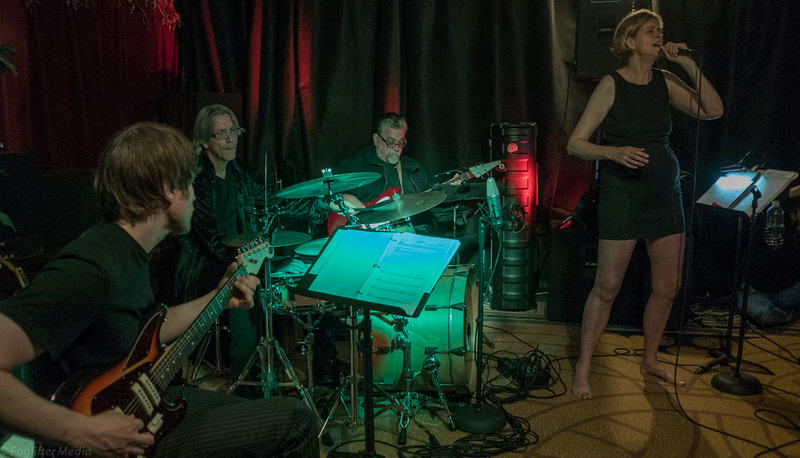 My band and I have delighted audiences at Peri’s, The Uptown, Rudramandir, Underground SF, Mutiny Radio and numerous local house concerts. I’ll be performing original songs in the Americana tradition from my first two CDs as well as my upcoming CD Liars, Cutthroats and Dames, all produced by multi-instrumentalist and recently touring guitarist for Mickey Hart, Gawain Mathews.